Men Going Their Own Way (MGTOW) is a fast growing, worldwide phenomenon based on a philosophy which can be used by a man for gaining control over his own personal freedom and future. According the National Bureau of Economic Research, decades of gender equality has elevated women and girls as the superior academic winners and men today lag far behind. This certain fact is what inspired Tim Patten to write his latest book, "MGTOW - Building Wealth and Power". 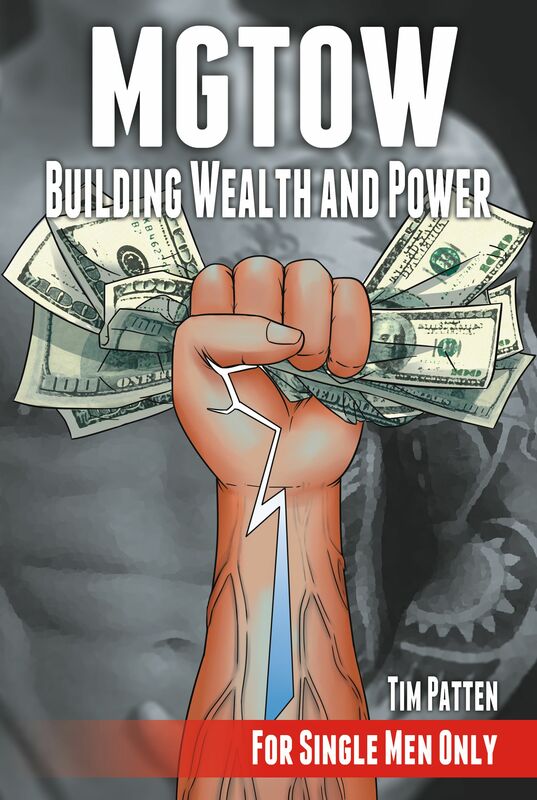 His new book will act as a guide for assisting young men with wealth building methods and developing individual power. Consider this: In 2016, academics are greatly concerned for men! There is a noticeable absence, misrepresentation and trivialization of men in higher education. In 2012, Forbes reported American colleges enrolled over 60% female compared to a minuscule 40% for male. CBS/NEWS 60 Minutes reported: American High Schools admit that up to 80% of girls are prepared for college and boys are not making the grade. Little girls are encouraged with programs, media and positive role models every step of their way into adulthood. Dr. Jim Macnamara reports, the media demeans males, depicting men as immature, oversexed and often bumbling fools. While society wages a war against manhood, Tim Patten is praising and uplifting men and boys. Tim has written a quick guide that celebrates masculine virtues so that young men will regain pride of being male. He wrote “MGTOW - Building Wealth and Power” for single men because mainstream society has abandoned boy’s and men’s needs in favor of worshiping girls and women’s. This book is for single men only who look for encouragement and insights on patriarchy, power, masculinity and the ancient secrets of creativity, as well as practical strategies for managing money and building wealth. This is an easy read, 175 page book. Concepts are easily digested and slipped into practice so men can build a good life through smart living and life choices. Inside this book are investing techniques that work; paying homage to the massive social movement of men who are ending entanglements and enhancing happiness through bachelorhood. At all online book stores. At all online book stores.